The third 5D Conference at Lake Constance is taking place on 4th and 5th May 2015, once again organised by the HTWG Konstanz. PERI has been supporting this event since it was launched in 2012. As its main theme, the conference addresses one of the most exciting topics in the construction industry currently under the spotlight: the optimisation of construction processes by means of Building Information Modelling (BIM). In 2015, the different knowledge needs of the target groups will be taken into account through an individually adapted concept. As a result, an Executive Forum will provide an exchange platform for invited experts at the very highest decision‑making level. Furthermore, this year will see for the first time the creation of a so-called Lab which allows the possibility for demonstrating specific practical applications. In addition, the three parallel sessions at the conference address the requirements of the target groups namely the decision‑makers, planners and construction companies. The detailed programme of the 5D Conference and additional information is available on the website of the HTWG Konstanz. For PERI, 5D planning is a trend‑setting technology with which all construction processes can be planned and controlled – from the initial idea through to the actual operation of buildings. PERI has therefore been involved for quite some time now in enhancing its formwork and scaffolding planning procedures in order to process data that goes beyond the mere technical solutions. PERI has long been using a specially‑developed project data management system (PDM), with which different users around the world can work together on a particular project. In the process, all of the project data is available online and is retrievable in real time. The ongoing further development of the PERI CAD also makes it possible to create the most complex formwork solutions three‑dimensionally. The CAD system is used by both PERI design engineers as well as PERI customers. Another innovation in the area of management of construction processes was placed on the market by PERI in 2012: since then, the myPERI online portal has been supporting PERI customers with process optimization on the jobsite. myPERI provides access to a comprehensive range of project data around the clock. The goal of all PERI developments is the complete integration of the formwork and scaffolding solutions in future 5D simulations. The technology of process-oriented 5D planning creates new innovative framework conditions and possibilities for the construction industry. 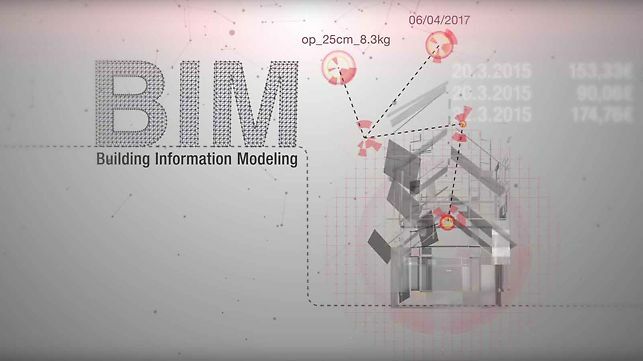 When using 5D planning, commonly used procedures of the "Building Information Modelling" (BIM) are supplemented by key information on the construction process. Technology that has already been successfully implemented in other industries is now increasingly being used in the construction industry. The aim is to create a continuous digital chain ranging from the planning phase and actual construction through to the operation of buildings. Thus, different action alternatives can be quickly and easily evaluated in project phases at a very early stage regarding their impact on costs, schedule and quality. More information is available on the official website of the 5D Initiative.